Make sure it's unleaded before putting it your car if you still have cats or big $$$$$ repairs are in your future. Contact the company that supplies the fuel to the airport to ask. The bimbo at the fuel desk there will of course have no clue. 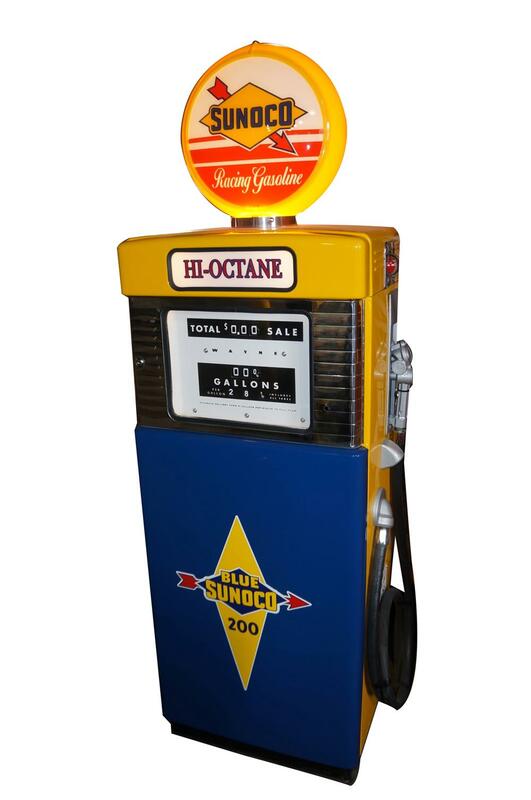 Sunoco SS100 and 260, Rockett and VP 100 octane racing fuels are unleaded. Sunoco also sells leaded and E85 racing fuels (in drums). Sunoco SS100 Racing Fuel is sold from pumps in California only (also available in drums). Sunoco 260 series Racing Fuels are sold from pumps in other states (in drums also). Sunoco Unleaded Racing Fuel has roughly 10% ethanol and VP has zero ethanol. VP can only be bought in drums, at $700 per. OUCH! Rockett brand Racing Fuels appear to be similar to Sunoco’s fuels and are only available in drums. A few gallons here and there won’t hurt. I did it plenty of times as well as many others. Definitely not a good thing for the cats though. This is an Arco station in Las Vegas. I have no plans to put this in my Edge. I really don't understand what's wrong with "Top Tier" pump gas? ?